Unity in the Community is trying to promote the message of "Stop the Violence" to teenagers and adults of all communities. City officials, community leaders and people from all over will take a stand against violence in their neighborhoods this week. Unity in the Community, a non-profit organization that works to stop violence, is hosting a “Peace Rally & March”. The rally began at 6:00 p.m. at 24th & Wharton in the Point Breeze neighborhood of Philly. 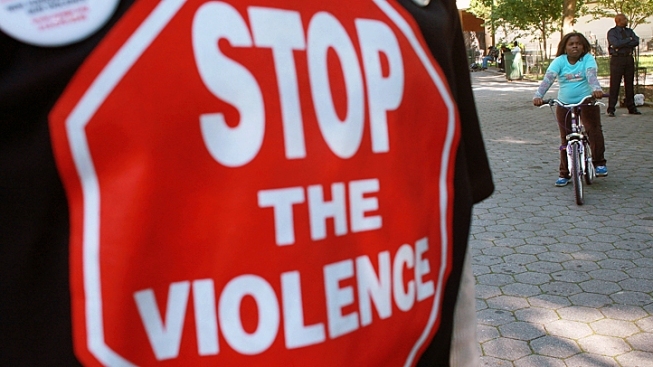 The gathering is part of a week-long effort to promote the message of “Stop the Violence” to all age groups from teenagers to senior citizens. Unity in the Community plans to team up with other non-violence groups like Don’t Shoot, Tasker Renaissance, R.O.A.D., Mothers in Charge and more for the march. “Peace Week” started off on Sunday with a special prayer for the event from churches around the city. The 7-day event will have other programs in the city to promote non-violence, as well. Here is a schedule for the week of events. Tuesday, August 7 at 6:00 p.m. – “Teen Night" is a fun night for teens in South Philadelphia at the Wilson Park Boys and Girls Club on 25th Street & Jackson. Their will be a party that will end before curfew and it will be hosted by the Dollar Boyz. Wednesday, August 8 at 6:00 p.m. - "Entrepreneur, Music and Peace Conference" is a panel discussion that will educate the community on how to be successful in various professions. There will be a Q&A session, as well. This event will take place at Yesha Ministries Hall located at 23rd & Snyder. Some of the panelist that will be attending this event are: Freeway (Artist), Jalil Beats (Producer) , Christian Crosby (76ers), Brand Pankey (Sean G), Simon Carr (Clothing Line), Faheem Alexander (Entrepreneur), State Rep. Jordan Harris, Jamira Burley (Executive Director of Youth), Talibb Din (Live Nation), Michael Goings (76ers) and many more. Thursday, August 9 at 10:00 a.m. - “Senior Day" is day to love and honor the senior citizens of the community. A day of games, food, music and fun will be hosted by Bobbie Holiday from WDAS AM/FM. The location for this event will be the Point Breeze Senior Citizen Center, located at 2100 Dickinson Street. Friday, August 10 at 6:30 p.m. - "Ball for Peace," is a basketball game consisting of live music, free giveaways and appearances from the Philadelphia 76ers. The event will be hosted by Q Deezy from Hot 1079 FM. The game will feature some of the best basketball players from South Philadelphia. This game will take place at Chew Playground, located at 19th & Washington Ave.
Saturday, August 11 from 3:00 p.m. - 9:00 p.m. - The 5th Annual "Unity in the Community Block Party” will be hosted by Angela Simmons. There will be free food, motivational speakers and live entertainment. Also, their will be a special tribute to address the violence in our community. The “Unity in the Community Block Party” will take place at 20th & Snyder.